Canon PIXMA MP140 is ready to get more done at home? 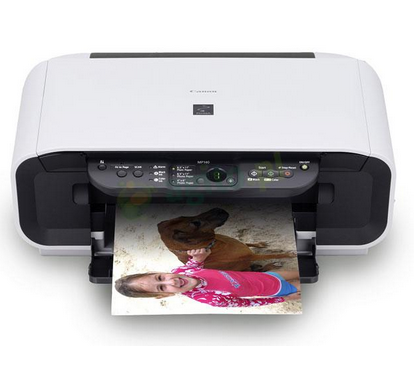 This Photo All-In-One print your satisfactory Copy-Scan performance you are looking for. Any patented print head technology and Its lets you print beautiful photos and durable, from credit card size up to 8.5 "x 11". Your copy now will be more serious for your original images and text. And, over the Z-Lid expansion around 1 in a unique lifting vertically and lets you produce as you need, complete scans even more clearly as the original thick notebooks. NOTE: If you closed the Download Complete screen, browse to the folder where you saved the exe file and then doble click.. If the test print and scan no problem, then we have managed to install the driver. are there any drivers available for windows 10? Nope.. but you can install canon inkjet mp230 driver for your windows 10. It's work for me. Will this MP 145 all scanner driver for windows work fine for my windows 10 64 bit Dell desk top ? use mp230 driver and it should solve your problem. kalo boleh tau cara install dan link downloadnya gan? i can print using mp145 with windows 10 but cannot scan, which scanner driver should i install? how to reset canon mp 145 ?